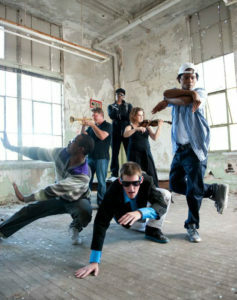 MemphisRap.com conducts an interview with dancer, choreographer and renown performer Daniel Price, aka DP formerly Lil Daniel, acclaimed King of Memphis Dance / King of Jookin. In Daniel Price’s interview with MemphisRap.com, DP talks about being an “excessively passionate artist” with “an undying will to achieve supreme self reliance”; talks about working with a Broadway cast on the Gangsta Walk in the Memphis portrayed theater production titled Hurt Village; talks about how Jookin compares to other dance styles such as Krumping, Footworkin, Turfin; reveals new work he’s interested in doing with rappers out of Memphis, TN; provides details about how he got started doing the Gangsta Walk and how he perfected the dance style; and details how he feels about dance and hip-hop in his hometown Memphis, a city that is “gritty and sophisticated” where “a real rose (Jookin) grew from the concrete,” according to Daniel Price, and more. Daniel Price: Everything is everything. God’s got it. MemphisRap.com: Daniel you are sometimes referred to as the King of Memphis (KOM) Dance/King of Jookin, but for those who do not know you, tell them who you are in your own words? Daniel Price: I’m an excessively passionate artist with an undying will to achieve supreme self reliance using the faculties of my mind and the gifts bestowed on me. In other words, Jookin has been the outstanding resource for me to fulfill all my aspirations and dreams. I became the KOM just by believing that I am that person. I also specialize in strategic organizational development in which I have done many works through that has progressed the longevity of Jookin. MemphisRap.com: You are not just a dancer but you’re also a choreographer, right. Tell us a little about that. Daniel Price: Even though I don’t like the tag or the process, I am a choreographer. I have worked with Broadway when they wanted a cast to learn and perform Gangsta Walk in a Memphis portrayed theater production titled Hurt Village, based on the old housing projects. Because I loved Jookin so much as a freestyle dance, I wrote a manual that illustrates our style in a systematic fashion. It is currently being developed into a patented virtual learning system via online gaming so everyone can discover and interact with the universality of Jookin. MemphisRap.com: When did you first get into dancing and what were some of your influences? Daniel Price: Honestly I have loved watching dance all my life. I love to tell the story of being a 6 year old kid at church with the pastor’s 16 year old son and his friends. One of them was a young Gangsta Walker. One day in the parking lot after church, he showed me a cool step that I could do….so I did it. My mother saw me and tore my behind up when I got home. She said I was doing the devil’s dance. From those days on, it was around me. I truly started in Fall 2001, when I was 15. The post-Gangsta Walk time period involved high schools, not nightclubs. I went to Raleigh Egypt, where the most legends were born ever in the city. When Shunn Gunn started promoting teen parties and talent shows is when I was inspired to be the man on the scene. I could name plenty of guys from 3 different eras, before the one we have today. I have a website for that though, http://mjg2g.com/huah . Those guys all had different impacts on me whether directly or indirectly. I personally thank Rome and Tarrik for being my first rivals, and Dr. Rico, Mike D. and Lil Gino for being my first talented dance group mates and Shunn Gunn making it all possible. He discovered Lil Bobo, who is the ORIGINAL King of Memphis Jookin. With out Bobo, there probably would be no GForce because he inspired the best dancers of our era, years 2000-2010. 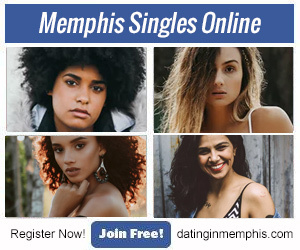 MemphisRap.com: You are known for helping to bring life back to the legendary Gangsta Walkin, and helping to shape Memphis Jookin, tell us what has been your role in it? Daniel Price: Like I said, I strategically organize and develop different ideas that help us progress the lure of the style and the faculties that make it unique and exclusive. The Gangsta Walk is and will always be the basis of Jookin, meaning that I danced because Jookin was undoubtedly another version of its origin that I desired to prove as existent. I’m glad to see the day that something I desired is an actual industrial idea for dance via Lil Buck, Keviorr Taylor, Ron Myles and others. MemphisRap.com: What has been your favorite part about dancing and what keeps you motivated? What is it that drives you? Daniel Price: My drive has always been creation itself. I am addicted to the process of development and progression, but only through authenticity and ingenuity. I like to develop ideas for the mind to seek motivation. Most people that come to me about dancing either are amazed by my ability to be so different or they want to know how I do it. I prefer them to be amazed because I don’t like to teach as much as I like to inform. Their love for Jookin and its original faculties involving the Gangsta Walk are what drive me to stay on the floor. Just like magicians, Jookers showcase illusions. MemphisRap.com: Your choreography is unique and is unlike any we have seen, your transitions from one move to another move are almost unrealistic. It will have anyone almost in awe. How much training does it take to reach your level or did it just come naturally? Daniel Price: I can say that repetition is truly the key to understanding as much as exploration is the key to discovery. After 12 years of thinking up new moves and not actually practicing them physically, I believe in mind over matter. I explored the range of motion in my feet more than anything else. The feet are the furthest from the brain, the faster my feet could get, the trickier I could get versus the human eye. Just like magicians, Jookers showcase illusions. Think about it, the best Jookers use the entire floor because it is a setup for the audience’s eyes to be tricked by our feet. Practice doesn’t always make perfect physically, but it does in the mind to help master imperfection, which is infinite and more fulfilling on the day when you trip over your foot by mistake. MemphisRap.com: What have you done to perfect your dancing over the years? Daniel Price: I find my motivation for getting better and mentally overcome the moments when I don’t feel like giving my all physically. Usually, there is an emotional state I need to come out of. Those days usually make the best video highlights. That’s when your style levels up. MemphisRap.com: In five words or less, how would you describe your dance style? Daniel Price: Exclusively amongst the best ever. MemphisRap.com: Besides dancing to rap/hip-hop music, what other music do you dance to? Daniel Price: Any kind you can throw at me. I was taught to be the instrument, so everything has a Jookin style rhythm in my ears. MemphisRap.com: How do you feel about dance today? Has it progressed for the better or for worse in your eyes? Daniel Price: Honestly, I feel that urban dancers should be learning from independent music artists, but they are taking the bait of the mainstream industry. We have crossed over locally, nationally and globally with Jookin, but we are the only culture that heralds that level of success because we are truly independent from modern, contemporary and hip hop traditions. We are gritty and sophisticated, even commercial when need be. MemphisRap.com: How do you feel about the different styles of dancing such as Krumping, Footworkin, Turfin, etc. verses Jookin? Daniel Price: I love and respect all American urban dance cultures but Jookin stands out globally as the most universal of all urban styles. Some of the world’s best study the style progressively. Jookin has been named by Vail International Dance Magazine as the Advanced Ballet….. case closed. MemphisRap.com: Are there any artists or dancers that you would like to collaborate with that you haven’t had a chance to? 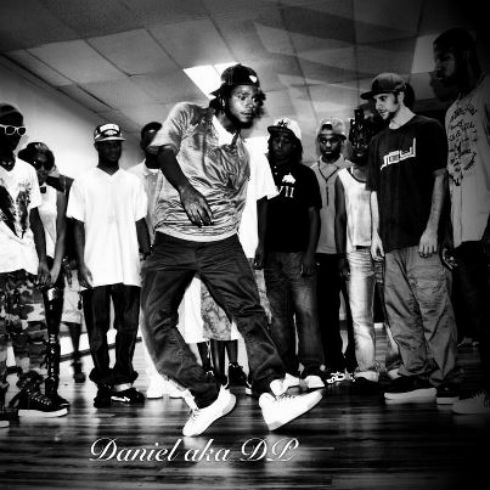 Daniel Price: I have always wanted to orchestrate a Memphis Urban Dance Music Mixtape with all the Memphis and Atlanta rap artists that we love Jookin to. I wish I could have taught Michael Jackson our style….. OMG!!!! MemphisRap.com: Who are some other dancers you feel got talent? Daniel Price: There are too many, but if I had to name 3 outside of Memphis, I would say Storyboard P in NY, Skitso in TX, and Non-Stop in GA. These guys are mastering their crafts constantly. I believe they will all influence the industry one day. MemphisRap.com: What songs are on your playlist right now? Daniel Price: All I’m bumpin is old-school/new-school Project Pat, old-school Gangsta Boo, Young Jai and Young Dolph. Don’t need much more in the rap category. I listen to everything though. MemphisRap.com: For those who are looking to learn dancing techniques like the ones you do, what are your suggestions? Daniel Price: Get your mind right. I have a quicker brain response. I mastered muscle memory in my lower legs. MemphisRap.com: If you weren’t dancing, what do you think you would be doing right now? Daniel Price: Working the plan that was that has been written since 2007, to industrialize urban dance through Jookin. MemphisRap.com: What’s next for Daniel Price? Daniel Price: Executive management in marketing and interactive technology. MemphisRap.com: How can people keep up with you and follow your dancing progress and projects? MemphisRap.com: Thanks for doing this interview, we look forward to catching up with you again soon. Any last words? Daniel Price: Support Memphis Jookin because this city, nor the world will ever have such a treasure to behold like this in our time. Jookin is the real rose that grew from the concrete. It in itself is the rebellion, revelation and redemption of dance. It is the example of what Dr. King expressed in having tolerance to grow positively amongst a culture of ignorance…… more than you might know.